The flavor of garlic becomes quite mellow, wonderfully sweet and nutty tasting when roasted. In fact, raw garlic tastes two to four times stronger than cooked garlic. Once roasted, garlic becomes very spreadable and is good to have on hand to use in recipes. 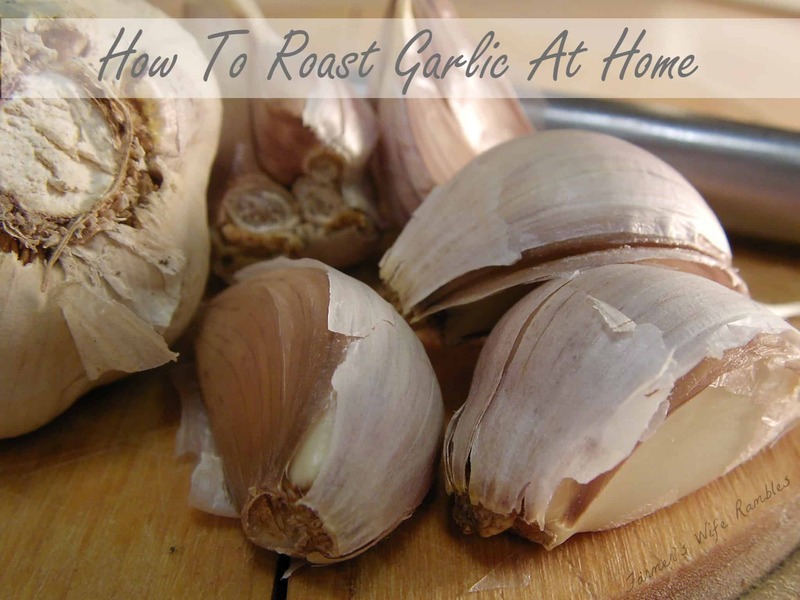 Each bulb (head) of roasted garlic yields approximately one tablespoon of puree. When choosing garlic, the size and color are not important but firmness is. Buy loose garlic and look for hard bulbs that do not give when you press on the cloves. Raw garlic should not be refrigerated. It is best stored at room temperature in a cool, dry place where air can circulate. Preparing roasted garlic is very simple. The following technique is for roasting garlic in the home, but garlic may also be prepared by wrapping it in foil and roasting on an outdoor grill. You can multiply the ingredients to roast as much garlic as needed. 1. Preheat oven to 425F (230C). 2. Remove outer papery covering from the garlic (leaving the bulbs whole). Slice off the top 1/2-inch of each bulb to expose most of the cloves. 3. Place bulbs in a small baking dish lined with foil (for easy cleanup). Drizzle half of the olive oil over the top of each bulb and allow the oil to sink in between the cloves. Wait a couple of minutes and drizzle the remaining oil over the bulbs. 4. Cover the baking dish with foil. Roast for 40 to 45 minutes, until the cloves are completely soft and the outside is lightly browned; remove from oven. 5. When garlic has cooled enough to touch, turn the whole bulb over a dish and squeeze to extract the softened cloves. Puree the garlic by crushing the cloves with the flat side of a knife. Use within two weeks. Yields 2 to 3 tablespoons of garlic puree. Roast no more garlic than will be used in two weeks. Peel, puree and place roasted garlic in a small covered container. Pour in enough olive oil to cover garlic with a thin film. Keep container tightly covered and in the coldest part of the refrigerator (under 50F/10C). Don’t discard the olive oil used for roasting and storing garlic…it’s good to have on hand for recipes that call for flavored oil. Store under refrigeration and discard unused oil after two weeks. Flavored Mayonnaise: Mash a few roasted garlic cloves with the flat side of a knife and whisk the puree into plain mayonnaise. Garlic Bread: Spread 1/2-inch thick slices of French or Italian bread with softened butter; spread a generous amount of roasted garlic puree over butter and lightly brown under broiler. Garlic Mashed Potatoes: Add 1 tablespoon of roasted garlic puree to your favorite scratch or instant mashed potato recipe. Sauces: In a small bowl, blend one tablespoon of roasted garlic puree with an equal amount of melted butter; mix into the pan juice of roasted meats and poultry. Soups: Roasted garlic puree is so soft that it melts into pureed or creamed soups with only a little stirring.